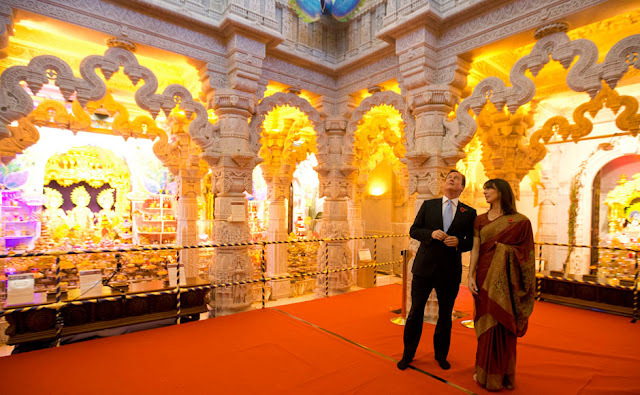 A mandir has many internal features, which one can fully appreciate only by visiting. Below we list what we might experience on entering a temple. Some mandirs have fewer facilities, and others far more. The more elaborate are often part of an entire complex that includes residential quarters, guest rooms, and educational facilities. Shop selling religious artifacts, books, and other religious souvenirs.